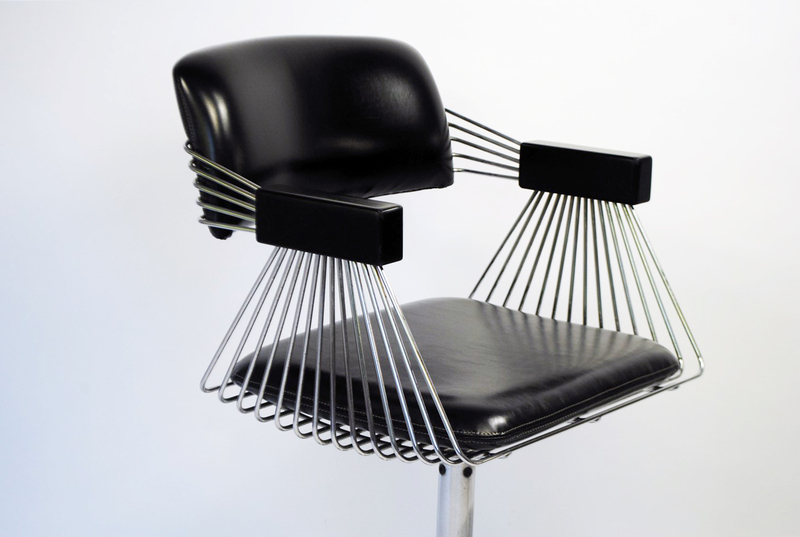 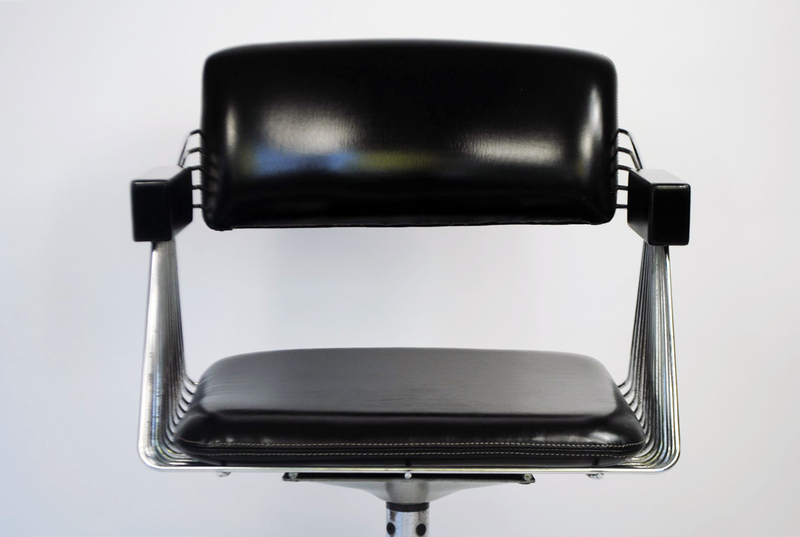 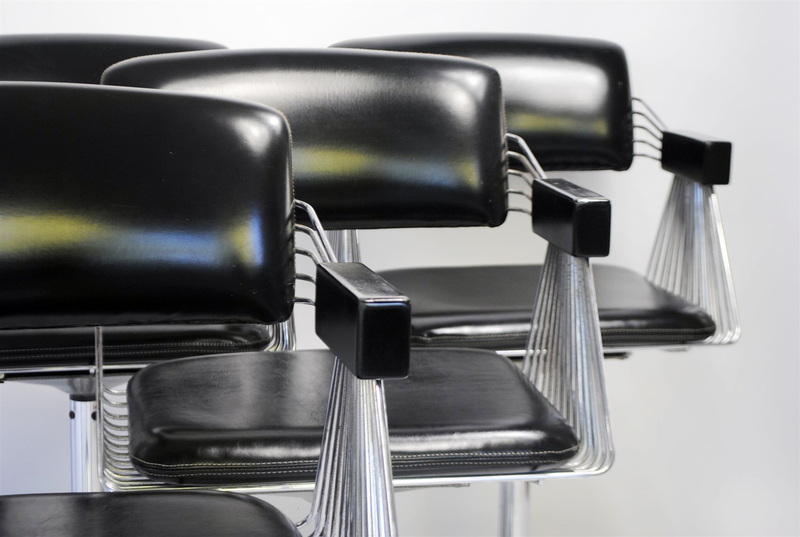 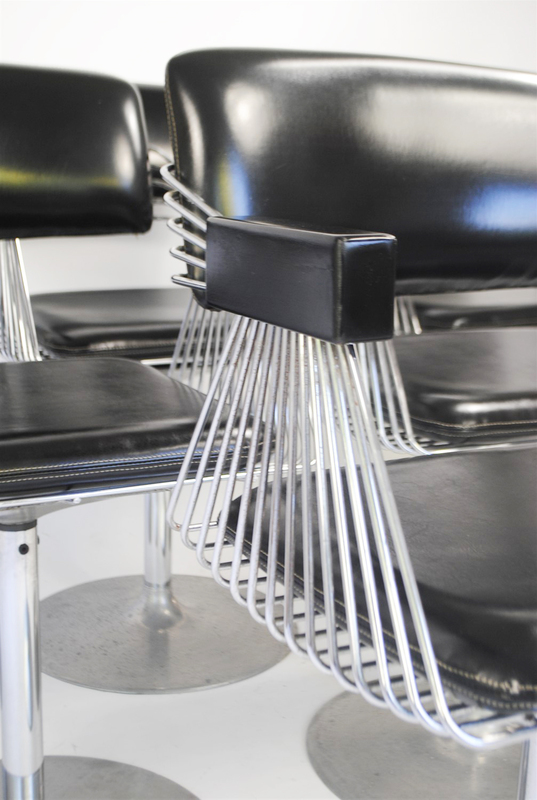 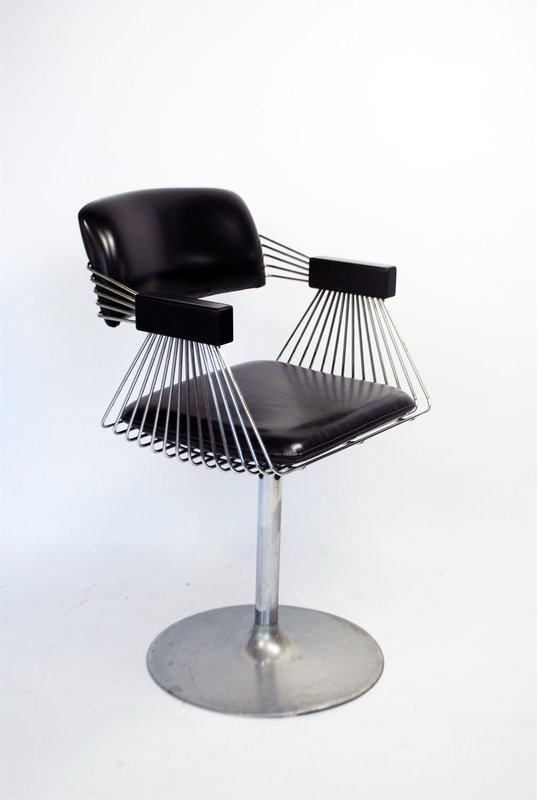 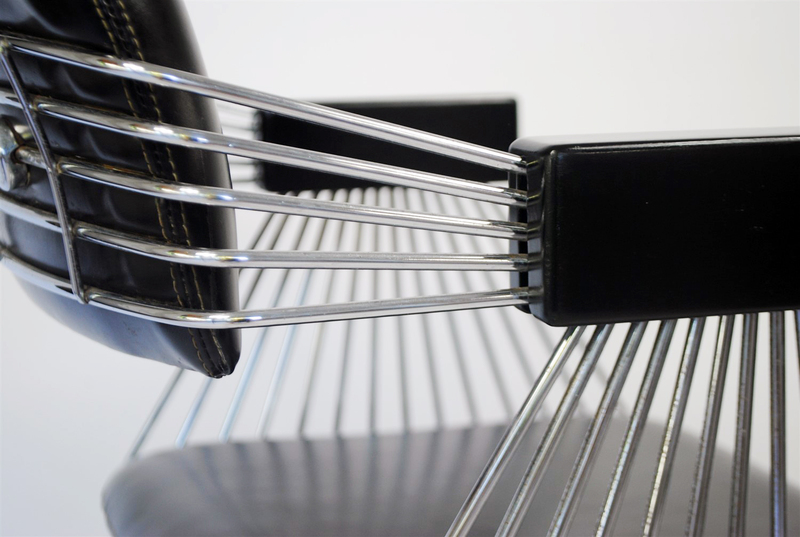 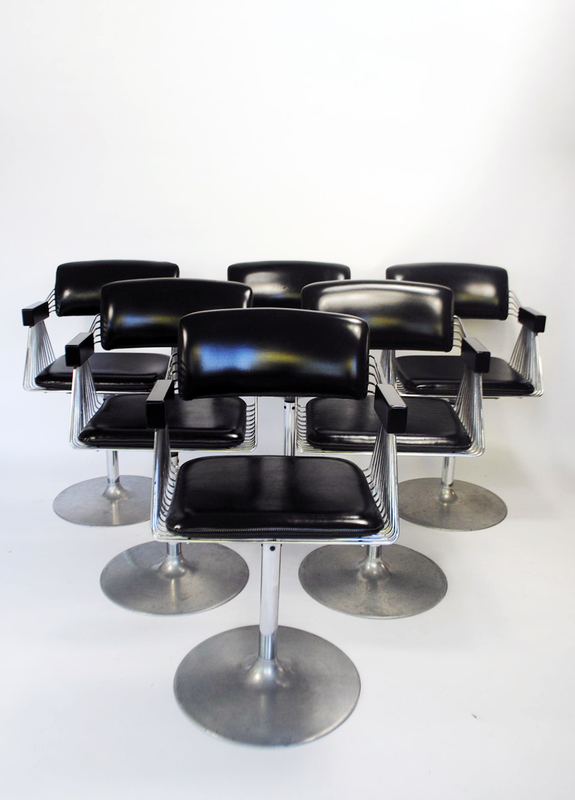 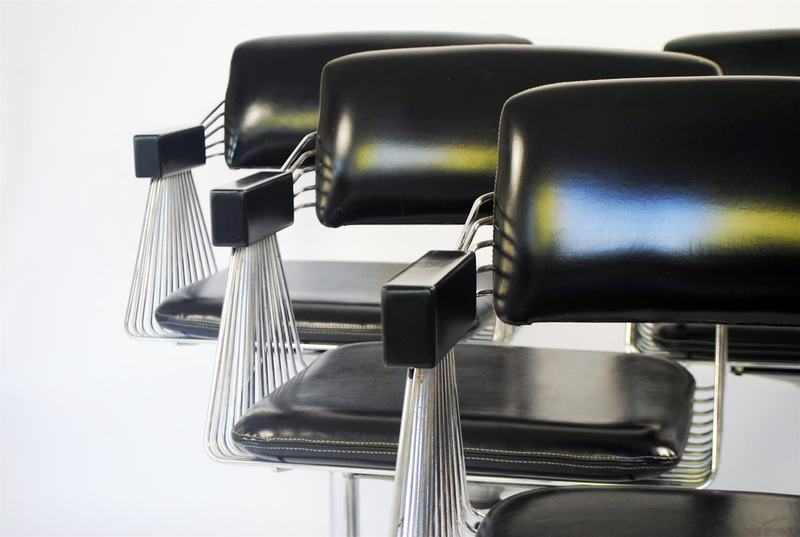 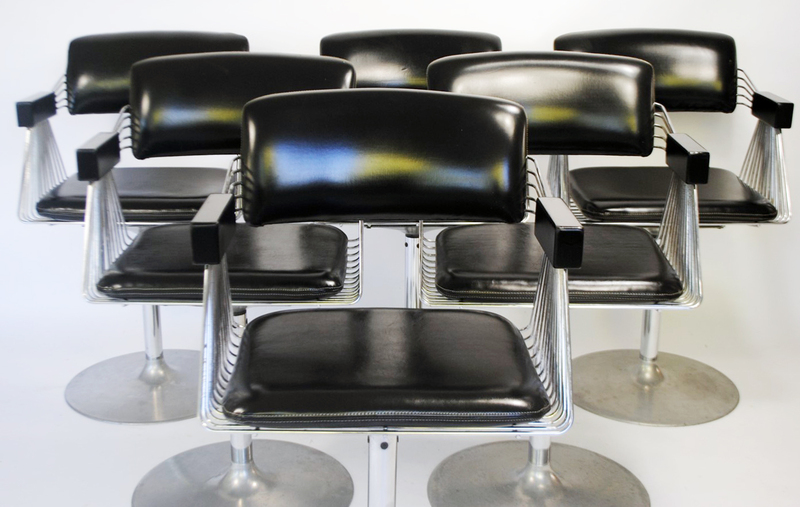 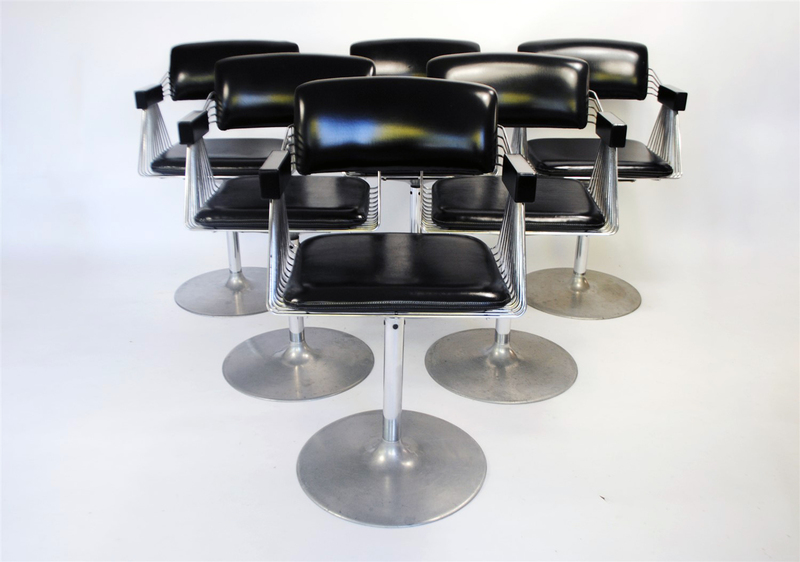 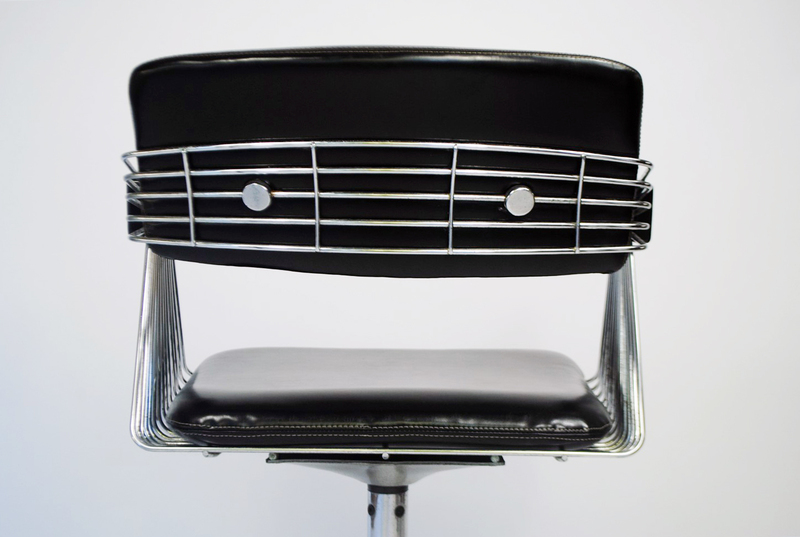 Unique set of 6 dining chairs designed by Rudi Verelst for Novalux (Belgium) in the 1970s. 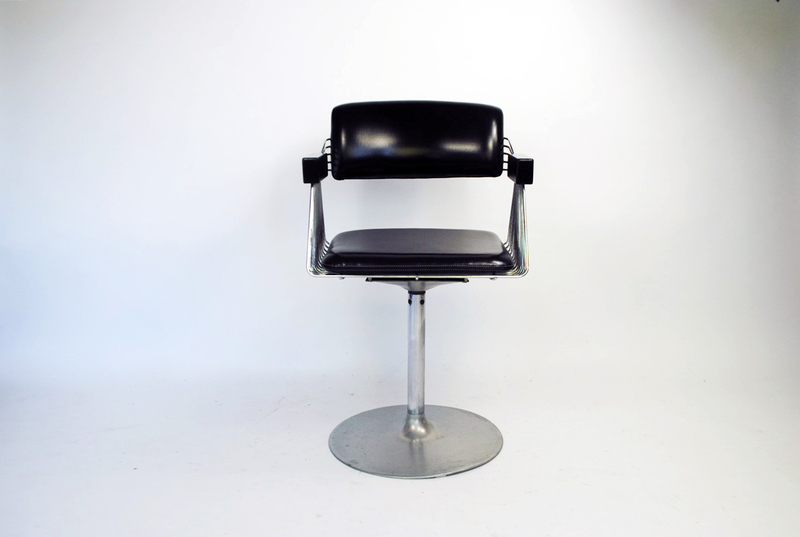 The shell and the swivel tulip base are made of high quality chromed steel. 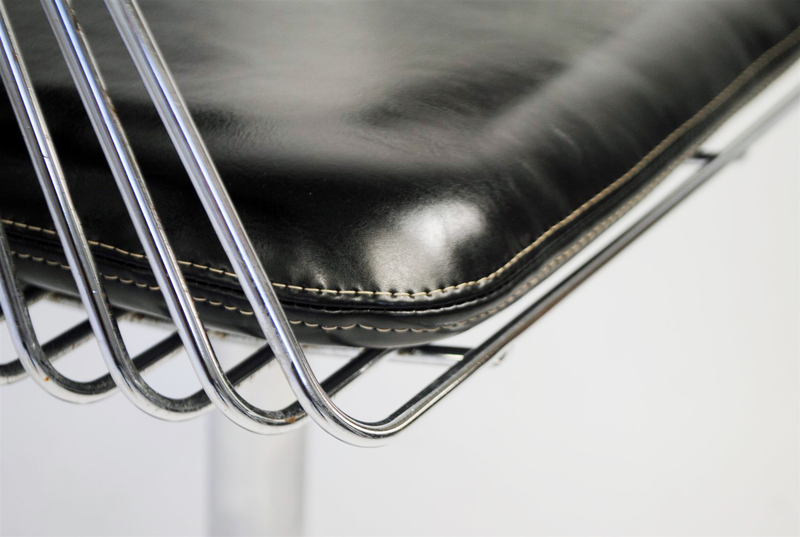 The armrests have been restored and all seats have been reupholstered in high quality artificial leather (like the original), perfectly matching the original backseats. 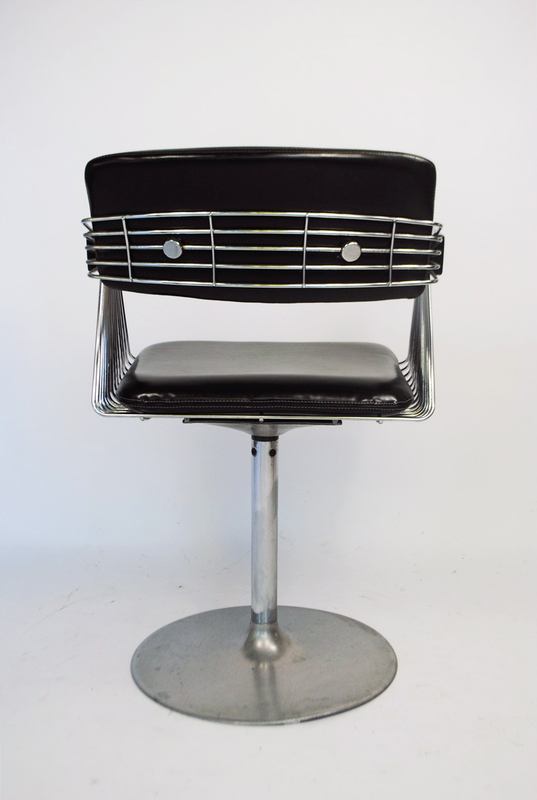 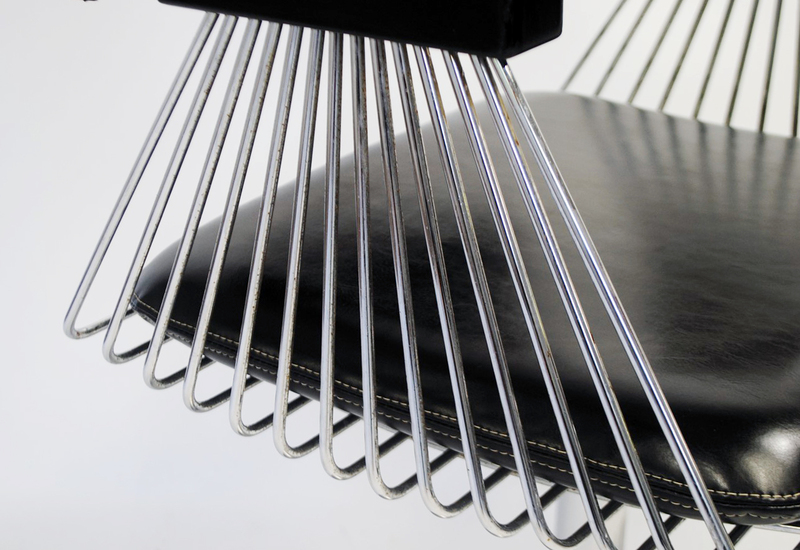 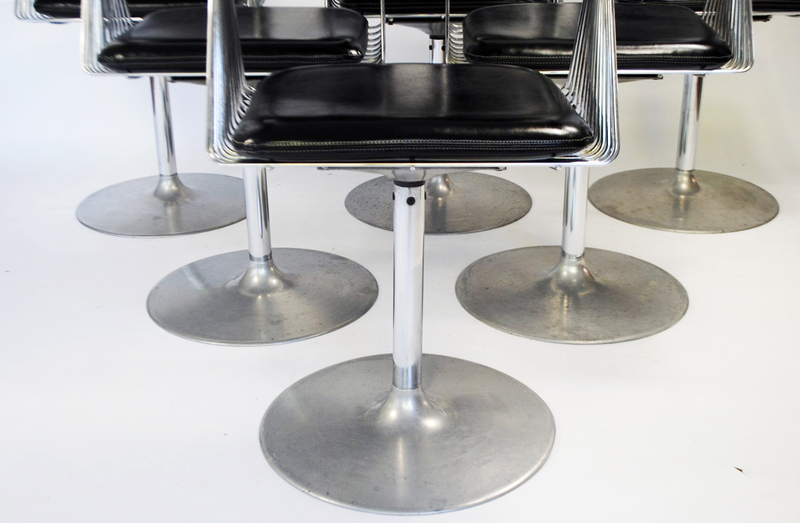 These comfortable dining chairs show only the smallest signs of wear and are in a very good condition.